Our water source and bottling process ensures the highest quality for every drop you drink! 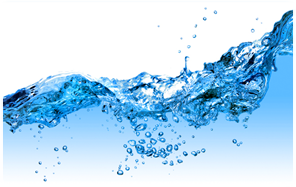 AquaPoint Pure water comes from a deep artesian spring located in beautiful North Yorkshire. It originates from a deep geological formation nearly 400 feet deep below ground and because of its depth the limestone aquifer both protects and naturally filters the water. We believe our source, bottling process and dedication to giving customers the most refreshing product possible are what give AquaPoint Pure its remarkable purity and consistently great taste…….the way drinking water should be. Romantic labels with waterfalls and mountain springs may be routine marketing in the bottled water industry, but the safest, purest and most consistent water sources are those drawn from aquifers deep underground that have been filtered through several hundred feet of rock. There is no risk of contamination from agricultural chemicals or livestock. Collection tanks and long runs of pipework needed to collect some source waters close to the surface on hillsides all require complex chemical cleaning routines to keep the water safe. The key question is: how well protected is the water source – is it collected deep underground or from near the surface? Your staff deserve the safest water to drink. Because of its depth the limestone aquifer both protects and naturally filters the water. A light blend back of the original natural minerals contributes to the great taste of our water. Lifted to the surface through natural artesian pressure it enters our bottling plant directly above the source. We use no chemical treatments to the source pipework and there is no risk of bacteriological contamination. Aquapoint have the most modern bottling plant and the highest possible hygiene standards. Inspected and approved by the local Environmental Health Officer, our plant ensures our customers always have the safest, most delicious and consistent water to drink. Our bottling processes utilize two technologies to purify your water, filtration and ozone. These environmentally friendly, odourless and safe processes ensure the delivery of the freshest and purest water the need for any harmful chemicals. We employ rigorous quality control standards help us make sure that you will enjoy the same crisp, delicious water every time you take a drink from our Water Coolers. We also take great care that our bottling and distribution reflects our commitment to a sustainable and environmentally sound business. Centrally located in North Yorkshire, delivery to our customers in the North of England is very efficient with fewer haulage miles per bottle than many of our competitors. Oh…and it looks great on our bottled water coolers too….